Not many theologians have had as great an impact on the study of peace and violence as Dietrich Bonhoeffer, who was labeled an Enemy of the State and eventually executed in April 1945. In this book, Trey Palmisano examines the theological connection between peace and violence across a range of Bonhoeffer’s writings, sermons, and letters. Despite the challenges Bonhoeffer experienced in his personal life and in the life of his country, Palmisano asserts that a strong consistency emerges in Bonhoeffer’s approach to ethics that resonates in the positing of Christ as the center of all ethical discourse and orients one to the ever-present challenges of a changing world. Palmisano creates distance from former studies that sought to define Bonhoeffer as a committed pacifist, a situational pacifist, or one who compromised his values to accommodate an exception for violence. By prioritizing methodology as the key to interpreting Bonhoeffer’s thought, Palmisano argues that the ethical dilemma thought to be caused by Bonhoeffer’s actions is avoided. The result is one that creates an authentic ethical openness by responsiveness to Christ rather than Christian virtue, and frees the individual from redundancies of action derived from deeply embedded patterns of theological engagement. 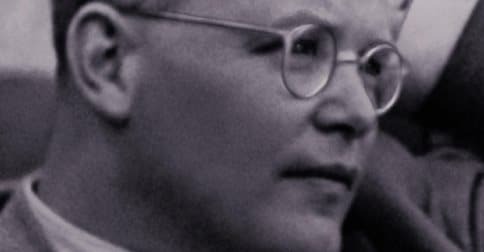 Dietrich Bonhoeffer’s work has persistently challenged Christian consciousness due to both his death at the hands of the Nazis and his provocative prison musings about Christian faithfulness in late modernity. Although understandable given the popularity of both narrative trajectories, such selective focus obscures the depth and fecundity of his overall corpus. Bonhoeffer’s early work, and particularly his Christocentric anthropology, grounds his later expressed commitments to responsibility and faithfulness in a &#34;world come of age.&#34; While much debate accompanies claims regarding the continuity of Bonhoeffer’s thought, there are central motifs which pervade his work from his doctoral dissertation to the prison writings. This book suggests that a concern for otherness permeates all of Bonhoeffer’s work. Furthermore, Clark Elliston articulates, drawing on Bonhoeffer, a Christian self-defined by its orientation towards otherness. Taking Bonhoeffer as both the origin and point of return, the text engages Emmanuel Levinas and Simone Weil as dialogue partners who likewise stress the role of the other for self-understanding, albeit in diverse ways. By reading Bonhoeffer through their voices, one enhances Bonhoeffer’s already fertile understanding of responsibility.